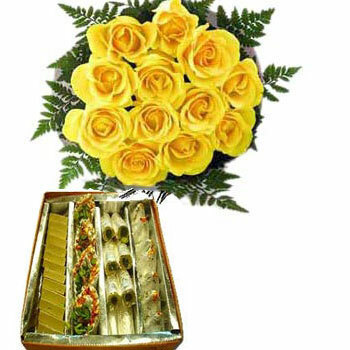 12 Yellow Roses with 1/2 kg mixed kaju sweets adding these to any festivals brings sweetness in your day. Our Chocolaty Love makes an excellent gift on any occasion. 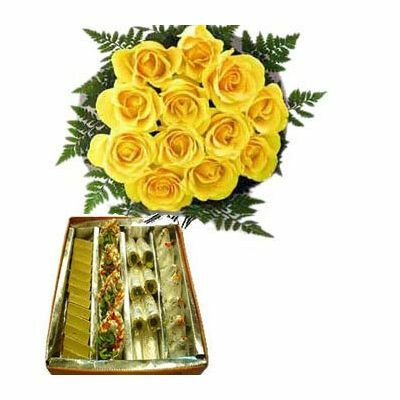 We offer home delivery and same day delivery service to celebrate your occasion happily.